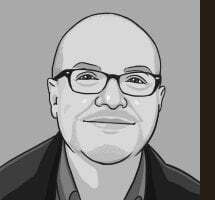 Owen is founder/editor of Brewtopia.Info, columnist for Southern Brew News, lecturer at Knoxville's Brewing & Distilling Center, founder/director of the Atlanta Cask Ale Tasting and Classic City Brew Fest, a BJCP National Beer Judge and Great American Beer Festival judge. 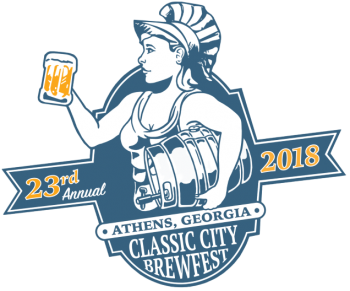 Based on attendee feedback, we are changing up the 23rd annual CLASSIC CITY BREW FEST on Sunday, April 15, 2018 to make it better than ever. We are going to focus on what we do best - exclusive, special cask ales! - NEW LOCATION - ATHENS COTTON PRESS! - 50+ unique, one-off cask ales with special ingredients! 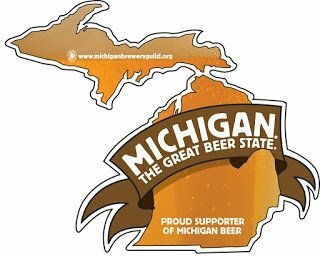 - Draft beer booths with local Athens breweries! 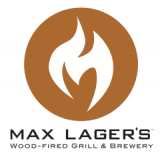 - Rare, special beers uncapped each hour! - Live music! 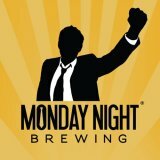 Meet local craft beer celebrities! - Free shuttle bus from Trappeze Pub downtown! - Food truck - Biggum's Bar-B-Que! - Every ticket is a VIP ticket! Sample any of the beers for one ticket price! - Graduate Hotel Athens is offering discount hotel rooms for that Sunday night. Reserve today. - All proceeds benefit the Athens Area Humane Society. Tickets are on sale now! 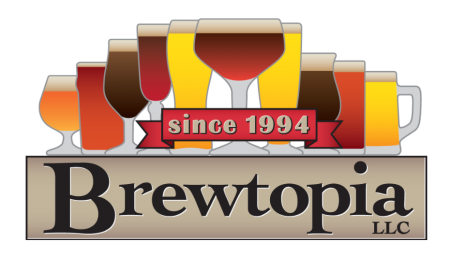 The full list of breweries providing exclusive cask ales will be posted soon on www.BrewFest.net. When in Savannah, be certain to sip creative fall releases from Moon River. Taterlicious Harvest Ale is a malty amber ale with sweet potatoes and an optional pint glass rim of fall spices. 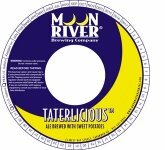 Moon River's John Pinkerton has also concocted Taterator German-style doppelbock. "We nearly doubled the malt of Taterlicious, doubled the taters and switched to an entirely different type of yeast," explains Pinkerton. 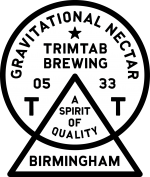 "The result is big, beautifully malty and uber tatery." Also watch for Moon River brews such as the ORK Ale collaboration with the Ogeechee River Keepers (O.R.K.). It's a pale ale with wildflower honey and Verdant Kitchen ginger, both of which are grown and harvested within the Ogeechee Water Basin. Halloween brings Boo Hag Black IPA, and Dixie Kristal tripel hits the taps in time for the Thanksgiving season. Three Taverns' Enchantress sour ale with cranberry and cinnamon premiers this fall in beautiful six-pack cans, and the annual Quasimodo Belgian Quad and Theophan The Recluse Belgian-style imperial stout join a score of one-off releases in Three Tavern's taproom. 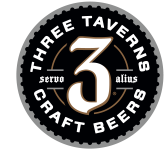 "With September 1's new brewery laws, Three Taverns will be selling over a dozen beers at our brewery tap, including bottles and vintage drafts," notes Three Tavern's Nathan Berrong. With updated Georgia laws allowing brewery direct beer sales, Roswell's Gate City Brewing has doubled its taproom hours, expanded entertainment and food vendor schedules and ramped up packaged beer offerings. "Our barrel-aged program continues to boom, thanks to a barrel partnership with ASW distillery," notes Gate City's taproom manager Lucy Doughty. "Also, our one-barrel pilot brew system keeps all 18 in-house taps flowing with an impressive spectrum of styles." Akademia Brewing, the beautiful new brewpub in Athens, Georgia is now open for business. Akademia is housed in a spacious, open facility on the west side of Athens next to the mall. Look for a range of around ten flavorful house craft beers from brewer Morgan Wireman. Scrumptious food items are also up for grabs, including mouth-watering cheese curds, burgers, flatbreads and salads. The owners want to also offer a regular cask ale and start up traditional Sunday roasts. Head over soon to "get schooled" at Akademia. 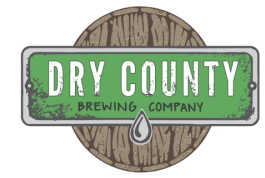 Formerly known as Epicurious, Creature Comforts Table Beer offers a delightful, elegant, highly drinkable beer for sessions with friends or to enjoy alongside a great meal. The hops, carbonation and high mineral profile help cleanse the palate between samples of food, and the floral, citrusy hop aroma and flavor makes for a spicy accompaniment to seafood, roast chicken, hamburgers and salty cheeses. Stone Neapolitan Dynamite - a rich, vanilla, imperial stout with fresh strawberries - fills the palate with viscous chocolate malt and coffee hints, along with a fun, fruity backdrop from the berries. Done in conjunction with Abnormal Beer Company and AHA members Paul Bischeri and Patrick Martinez, this imperial stout brings back childhood memories of a box of striped ice cream. Enjoy with a variety of desserts. Elgood's Coolship Sour Mango Ale. Elgood's Brewery in the UK still has a Victorian-era, open, shallow beer cooling tank called a "coolship." Elgood's decided to use its coolship to infect a beer with atmospheric wild yeast, then barrel-ferment the beer with additions of mango. The result is a beautifully tart ale with luscious notes of mango, tropical fruit and yeast complexity. Don't miss any chance to sample this wonderful wild ale. Southbound Shakedown Street dry-hopped saison from Savannah comes in at 5.2% ABV with a mouthful of clean acidity, citrusy hops, spicy notes and pleasant fruitiness. Southern Cross hops add a layers of lemon and pungent resins, while notes of pepper from the estery yeast contribute to the beer's refreshing complexity. Try a pint with an Indian chicken or shrimp curry dish. Sunner Kolsch bottles just hit American shelves recently, thanks to the guys at Artisanal Imports. This classic kolsch example from Koln, Germany showcases golden malt, floral noble hops and a slightly fruity ale yeast strain. Clean, crisp and refreshing, yet with layers of subtle complexity, this beer is a kolsch masterpiece. Sip it alongside mussels steams in celery and white wine or with a chicken salad sandwich. October sees the release of Reformation's 500 Quadrupel Ale named in honor of the 500th anniversary of the Protestant Reformation. Expect a 10.1% ABV brew with warming alcohol and caramel notes backed by raisin and floral nuances. Only 500 bomber bottles of a special barrel-aged version of the quad will be released in Reformation's Keeping Room brewery bar this fall. Hofbräu Original is an exemplary Munich helles lager with a gorgeous, golden color; white, creamy head; elegant honey, floral notes and an extremely pleasant, light malt sweetness balanced by German hop varieties. If you can't make it to the fun and boisterous Hofbräuhaus in Munich, pick up a six-pack of the helles to enjoy at home alongside white sausages or grilled trout with butter. 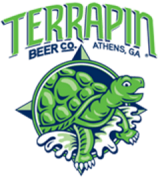 Terrapin So Fresh & So Green, Green is a seasonal, fresh hop red ale packed with caramel malts and green hops. Expect flavors of toasted bread crust, light toffee and herbal hop aromas and flavors - all backed by a pleasant bitterness. 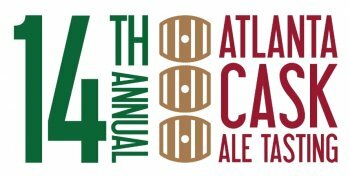 Check the bottom of www.AtlantaCaskAle.com for the updated list of exciting breweries supplying cask ales this year! 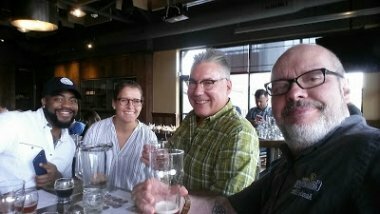 At the conclusion of the 2017 Beer Bloggers & Writers Conference in Milwaukee, Owen Ogletree of www.Brewtopia.info and Don Beistle from Southern Brew News took the fast ferry across Lake Michigan to visit outstanding craft beer destinations in Grand Rapids and Traverse City. Check out the full report and video HERE. Featuring a pitch black color and mahogany head, the rich, roasty flavors of Old 41 accentuate a creamy mouthfeel and dry finish to create a perfect balance in this full-bodied Oatmeal Stout. 12/02/2017 - WRECKING BAR STRONG BEER FEST. 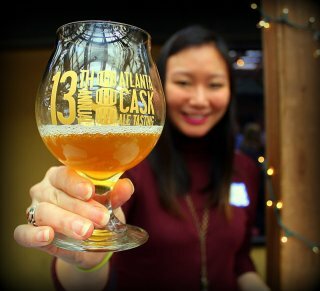 Wrecking Bar brewpub, Atlanta, GA.
04/15/2018 - CLASSIC CITY BREW FEST, Athens, GA. Featuring 50+ exclusive cask ales, draft booths from local breweries, super rare bottle booth, live music, a new location and a food truck. 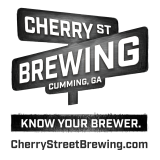 Classic City Brew Fest is a favorite craft beer event in the Southeast. Get TICKETS now. Owen Ogletree and Pete Dasher head to New Orleans to check out the slew of new breweries in The Big Easy. 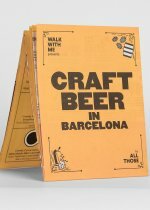 Owen then travels to Barcelona, Spain to get the heads-up on the city's burgeoning craft beer scene.